DVDO's newest video processor, the Edge, is now available. It brings the performance of a high quality, high performance scaler to a new price point that is within reach of many consumers. With a whopping six HDMI 1.3 inputs and built-in features like audio delay and game mode, the Edge is a steal at only $799. Connectivity. The DVDO Edge has six HDMI 1.3 inputs (five on the back and one on the front), two component video inputs, and separate audio inputs for TOSlink, coaxial, and RCA stereo which can be assigned to any video input you choose. By our reckoning, this should be more than enough ports to connect everything in your theater, and you will very likely have some to spare for future expansion. The Edge eliminates the need for a separate HDMI switcher, and you can even use it with an A/V receiver that lacks HDMI. Simplicity. 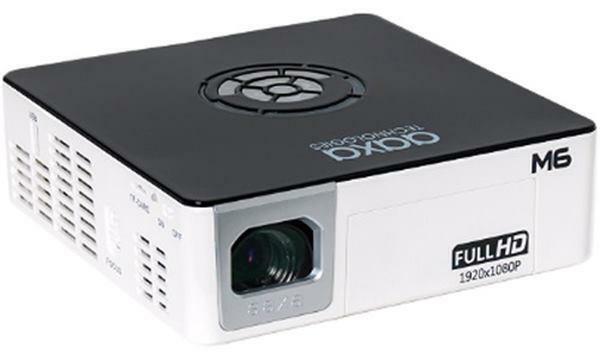 The DVDO Edge has the capability to take HDMI audio and video and split them up, which projector owners will find useful. It has two HDMI outputs: one transmits the entire A/V signal, while the other transmits solely audio. This allows you to send video directly to your display while audio goes to your A/V receiver. It also means you can simplify your cabling - run all of your sources to the Edge, then run one cable each to your projector and your A/V receiver. Superior Scaling. These days, most everyone who owns or has an interest in HDTV or projectors knows at least a little bit about scaling. The DVDO Edge can very likely re-scale a non-native signal more accurately than your TV, projector, or Blu-Ray player, so it's usually advisable to let it do all the work. For example, on a 720p projector, you can instruct the Edge to take the 1080p/24 coming from your Blu-ray player and rescale to 720p/60. The resulting image will look sharper than either letting 1080p run straight through so the projector scales the image, or having the Blu-Ray player scale the image to 720p. 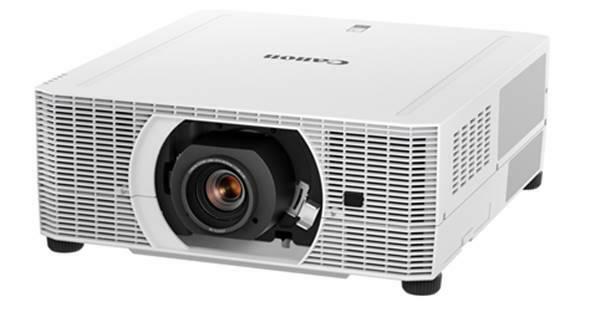 If you're using a 720p projector and don't feel like upgrading yet, the DVDO Edge is a relatively inexpensive way to see an immediate performance increase. The same logic applies to those with 1080p projectors using lower resolution sources. While high definition discs are being adopted fairly quickly, most people still have a sizable library of DVDs that they do not want to throw away or re-buy in Blu-Ray. The Edge can perform a very clean up-conversion of these lower resolution sources, extending the life of your DVD collection. Edge and Detail Enhancements. The Edge has some features which can enhance fine detail, labeled Edge Enhancement and Detail Enhancement. Edge Enhancement is especially intriguing, as it does not seem to add any ringing or other artifacts typically associated with increasing sharpness on a display. While the effect is fairly subtle, it is helpful when using lower resolution sources like DVD and broadcast television. Detail Enhancement likewise sharpens things up a bit, but it seems that overdriving the Detail Enhancement control adds noise to the picture. While purists will probably end up leaving the controls at zero, others could find that it is an easy way to clean up low resolution signals. Mosquito Noise Reduction. Labeled "Mosquito NR" on the Edge, mosquito noise reduction has three settings (Off, Low, and High) and takes some of the distracting noise out of broadcast content. We did not see much of an effect when using Mosquito NR with high definition discs or even DVD, but it is very useful if you watch a lot of standard definition television. PReP. For the Edge to work at its full potential, you'll want to feed it content in an unadulterated form, or as close to it as possible. For high definition discs, this is usually either 1080i/60 or 1080p/24, and for DVDs it is 480i. But occasionally, you'll encounter a source which cannot (or will not) output an interlaced signal. This is fairly common with upscaling DVD players, many of which will not output 480i over HDMI. For these situations, the Edge has PReP - or Progressive ReProcessing. This function, enabled automatically, takes sources which were deinterlaced at the source, re-interlaces them, and then deinterlaces them again, using the more accurate processing found in the Edge. Using the same source, we watched a DVD in 480p - first letting the player do the deinterlacing, and then adding PReP. The image processed by PReP looked noticeably clearer and sharper than the 480p output by our DVD player, and comparable to using normal deinterlacing on the Edge - in other words, very good. A/V Lip Sync. One of the downsides of applying image processing is that it takes time. As a result, audio arrives at your speakers before the accompanying video arrives at your screen. To correct this, the Edge has onboard audio delay of up to 200 milliseconds, eliminating the need for an outboard audio delay device. Game Mode. Delaying audio to match video only works if you're using non-interactive content. When playing video games, video delay is a great way to ruin the experience. In this case, you can switch on the Edge's "game mode," which reduces the amount of processing being done and consequently reduces video delay. Using a copy of Rock Band 2 on the Playstation 3, a game that is extraordinarily sensitive to delay, Game mode made it much easier to rack up a high score. When not using game mode, it was all too easy to fail miserably. Learning Remote. Once installed, the Edge effectively becomes the hub of your A/V system -- all audio and video connections can be run through the Edge. Since the remote will be used so often, having a good one is crucial. The Edge includes a backlit remote with learning capability, so you can program it to control your projector, high definition disc player, HD cable or satellite box, and even your A/V receiver. Note that the remote uses infrared, so if you have a device like the Playstation 3 which uses bluetooth for its remote control, the Edge remote cannot control it. Test Pattern Generator. The iScan VP50, which is the last DVDO processor we had a chance to look at, included a very useful test pattern generator. This generator could be used with the included DVD to calibrate your system very easily. Our review sample of the Edge lacked a test pattern generator out of the box, but upgrading the firmware on the Edge from 1.0 to 1.1 gave us the same test patterns which are available on the VP50. Users with the 1.0 firmware will be able to upgrade from home, using their PC or Mac and a USB cable. After the upgrade, which only takes a minute or two, all of the test patterns could be found under "Settings > Advanced Controls" and worked as expected. Limited user-definable output resolutions. One major difference between the DVDO Edge and the iScan VP50, which is a much more expensive processor, is the VP50's ability to create custom output resolutions. The Edge can output in 480p, 720p, 1080i or 1080p, each at various frame rates. It also has presets for several 4:3 resolutions, like VGA, SVGA, XGA, and SXGA. If your television or projector fits one of these resolutions, great. If it doesn't, you can use the "Auto Detect" option, and the Edge will attempt to read the display's EDID (Extended Display Identification Data) information and match its native resolution. In this way, the Edge can output virtually any resolution, provided your display correctly reports its native resolution - and some don't. Limited Output Connections. The Edge has a huge selection of input connections, but somewhat limited outputs. Video output is over HDMI only, while audio can use either HDMI or TOSlink optical. There are no component video outputs, nor are there coaxial audio output or even RCA stereo. While this is somewhat minor, if you are one of those people who still rely on these connections, you'll need to upgrade the rest of your theater equipment before installing the Edge. The DVDO Edge is a remarkable little machine. It has many of the same abilities as the much more expensive iScan VP50, like precision deinterlacing, PReP, A/V Lip Sync, noise reduction, and Game mode. It has some features which even the VP50 lacked, like six HDMI 1.3 inputs and a separate HDMI 1.3 audio output for A/V receivers. It does have some limitations, such as a smaller selection of output resolutions and output connections. But the bottom line is that the Edge gives you the performance of a top-shelf video processor at a bargain basement price. DVDO Edge is on sale at AMAZON.com for $599.00 with free shipping. Interesting, but how does it compare with a modern projector with frame recreation? It would be great to get a Panasonic PT-AE3000U internal scaler shootout with the DVDO Edge. I found the EDGE device to actually soften my images coming from my satellite and they have a current bug in that it won't pass through 12bit color from a PS3 to my projector *JVCRS10. Colors and overall sharpness were better not going through the EDGE device. Connected a new unit to a Marquee 8500 via a taiwan HDMI interface in 1080P mode. Menu from the Edge was great everything else was very soft. Picture from Directtv HR20-200 was so bad, I recalibrated the display several time without success. Picture from PS3 was probably the best picture I displayed. Still not as good as a direct connection bypassing the Edge. My panasonic DVR/VCR need to be reset for 480 output to get any decent picture. Finally return the unit for a refund. After a week or so and proper setup this performs OK. It's better at upscaling than any player I've had on the market including Oppo 983. Doesn't do much for HD content. It has some niggling issues like underscan feature being hard to access and not setup for individual inputs. It's hard to access and works in bursts making it a pain. It also has issues with more than one display. If you connect it up to another display via a splitter switch or AVR it will reset underscan and start with the input wizard all over again; not remembering what you set it to last time. It also doesn't have negative zoom ability. You can't make the picture smaller. I have been using the Edge for 15 days now and have familiarised myself with all its features. Simply put, It makes hell of a difference, even to the output of top of line Pioneer LX 71 Blu-ray player. Every source is hiked up couple of notches. I am thrilled with the improvement it has brought to my system.My Panasonic PT 3000 on a 120" screen is superlative now - hard to imagine if anything can be better. FULL RECOMENDATION. Only quirk is that I had to turn on lipsync audio delay to full 200 milliseconds on my Krell S 1000 processor. Can it delay the out put video for more than 3-4 minutes? ?